Ireland went into this year's championship with genuine Grand Slam hopes. As the final whistle of the first game sounded, the Slam was out the window and championship hopes were in the balance. A great starting point, then, for some open, honest discussion and debate. 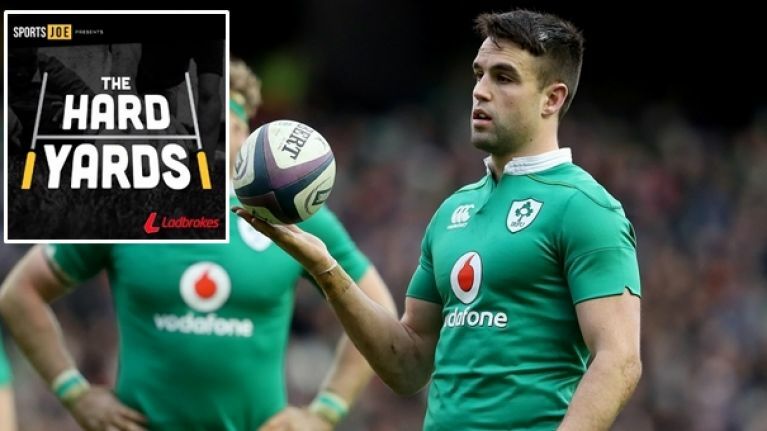 Joining host Andy McGeady for episode one of SportsJOE's new rugby podcast, The Hard Yards, were former Ireland internationals Donncha O'Callaghan and Kevin McLaughlin and our rugby correspondent Pat McCarry. O'Callaghan and McLaughlin were unsparing when picking over the bones of Ireland's 27-22 defeat. O'Callaghan expressed his disappointment in Conor Murray's performance, McLaughlin highlighted the perils of losing the breakdown battle and both men were critical of Irish defending for two of Scotland's three tries. The Hard Yards is brought to you by Ladbrokes.